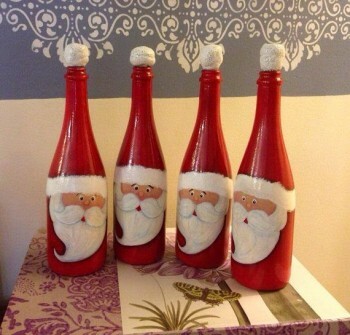 Paint the wine bottles and then turn them into cute little Santa decorations! You can even add some cotton to make an actual beard! So fun! I do you paint the wine bottles (white)?